Join GALA singers from choruses far and wide for a weekend of beautiful music, new vocal techniques, informative worships, and lifelong connections with singers from other GALA choruses. In addition to skill building workshops for volunteer leadership, singers will participate in a Symposium Singers’ Chorus that will rehearse throughout the weekend and perform for Symposium delegates at the Sunday Luncheon closing event. 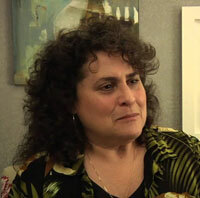 Symposium Singers choruses will be led by conductors, Miriam Davidson (SSAA) and Willi Zwozdesky (TTBB). Singers may join any chorus that fits their voice range. Select your preferred chorus in the registration process. 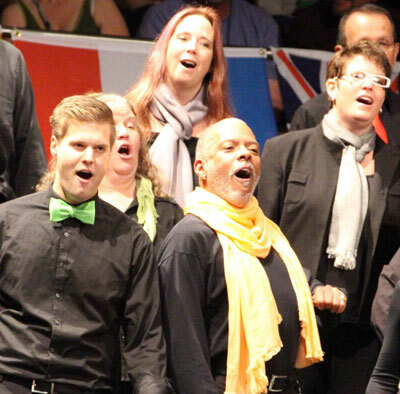 Singing delegates are also invited to participate in the final Ensemble performances which will take place Sunday morning at the very gay Parliament House in Orlando. Miriam Davidson is a professional singer, instrumentalist and serves as Artistic Director for Anna Crusis Women’s Choir, Philadelphia, PA.
Willi Zwozdesky is widely-known as a choral conductor and for his work as an arranger. 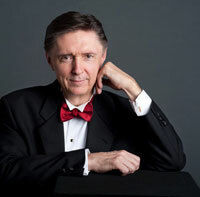 He has served as conductor of the Vancouver Men’s Chorus for 36 years. Check out the other workshops and events for singers at the 2018 Symposium! "Miriam Davidson is a superb musician who works in a demanding yet relaxed manner and brings everyone together in joyous music-making." "Willi Zwozdesky has been a treasured colleague for my entire 30 years in the GALA network. There is no conductor in all of GALA land who knows more about the inner workings of the music industry or choral repertoire. 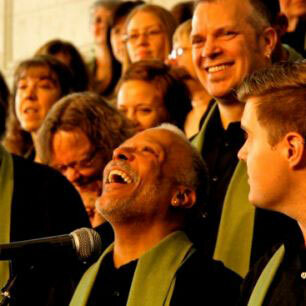 Everyone who sings with Willi loves the experience and I'm thrilled that he is conducting the Symposium Singers." The GALA Resource Center has an entire section devoted to tips for GALA singers. Check it out!